Learning to drive – where can you learn before you're 17? | What Car? Learning to drive – where can you learn before you're 17? If your child is approaching their 17th birthday, one way to give them a strong grounding in road safety and basic driving skills is to take an under-17s driving course. The Under 17 Car Club (U17CC), which works with a growing number of local councils and police forces, is a good place to start. The U17CC is a road safety charity that provides youngsters with an opportunity to learn to drive in a safe, non-stressful environment before they can go on the road. Joining the club costs £295 per year, but it gives you access to more than 34 weekly driving days a year at a range of off-road venues around England. The pay-off is massive: the U17CC says its members are four times less likely to be involved in a car accident in their first year after passing their test. There are other benefits too, as Paul Silverwood explains: “Club members drive their parents’ cars. While our qualified instructors give regular tuition to members, they spend most of their time practising with their parents beside them. Members work through a graduated training system gaining one of six grades for each stage of the development of both practical and theory skills. The club’s organisers, who are all volunteers, work hard to inject as much variety as possible into the weekly meetings. They set up entire road networks, including motorway sections and technical skills courses to test low-speed car control. They also host special events, such as night time driving and arrange visits from owners of lorries and busses so members can drive these vehicles too. 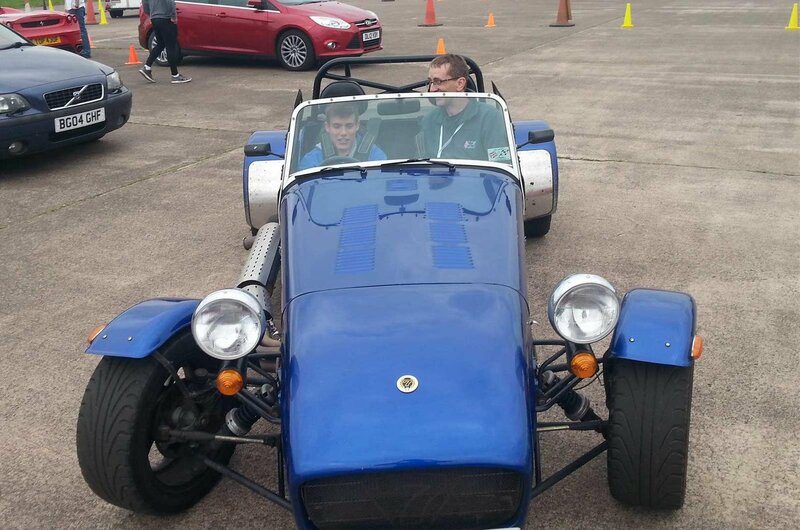 There are also plenty of extra events that are likely to appeal to parents as much as young drivers, including a rally car driving day, off-roading and a Caterham driving day. While the emphasis is on fun, young drivers get lots of hands-on driving experience that can easily help them exceed the skills necessary to pass their test before they reach 17. The aim is to develop driving competence to the level of an IAM RoadSmart Advanced Driver or RoSPA Gold standard. All U17CC members also gain affiliation to IAM RoadSmart and are encouraged to go on to take the Advanced Driver course after shedding their L-plates to further improve their driving. The Pathfinder Project is an offshoot of the U17CC that runs week-long intensive driving and road safety courses at a growing number of locations in England. Like the U17CC, teenagers drive their parents’ cars with a parent beside them. Unlike learning to drive on the road, where learners are often surrounded by unsympathetic drivers, Pathfinder courses take place on large off-road venues with plenty of space and all the drivers are in the same position, so they all give each other plenty of space and time to get going again if they stall their car or get something wrong. 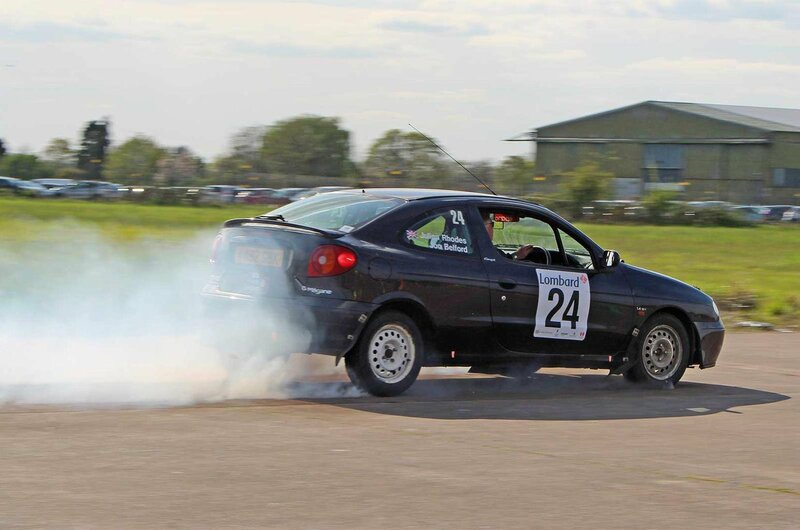 The five-day course stresses the fun and enjoyment of driving. 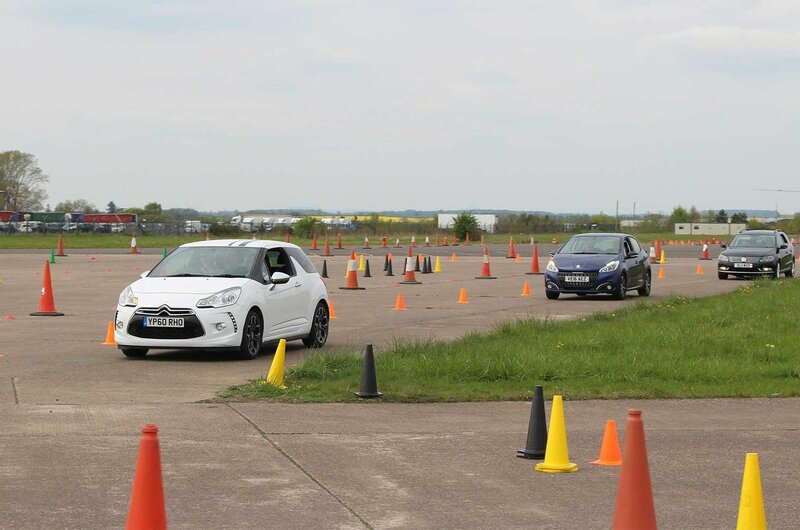 As well as practical driving skills, participants learn about driving and road safety theory and how to perform a “brake and avoid” emergency manoeuvre. 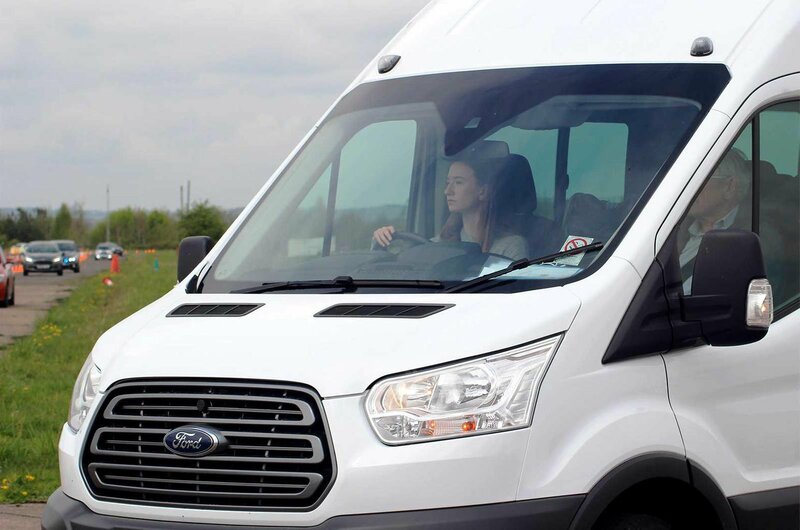 They are also encouraged to try as many different vehicles as possible during the course – those on offer include a fire engine, HGV and a van with a trailer. There’s even a chance to drive a golf cart wearing “beer goggles” to let young drivers find out in a safe way just how disorientating it can be to drink while drunk. But the most important part of the course is a talk and practical exercise to promote assertiveness among young drivers, though. It gives them the chance to calmly tell their peers to alter their behaviour to keep a car’s occupants safe. With peer pressure a major cause of car crashes involving young drivers, this is a vital skill to master early on. “One of the big benefits of taking part in the Pathfinder course is that young people start their driving careers with the right mindset - thinking about their own safety and those in the car with them. It’s giving them the opportunity to be the type of driver their families, and society, wants them to be,” says John Campion, Police and Crime Commissioner for West Mercia. 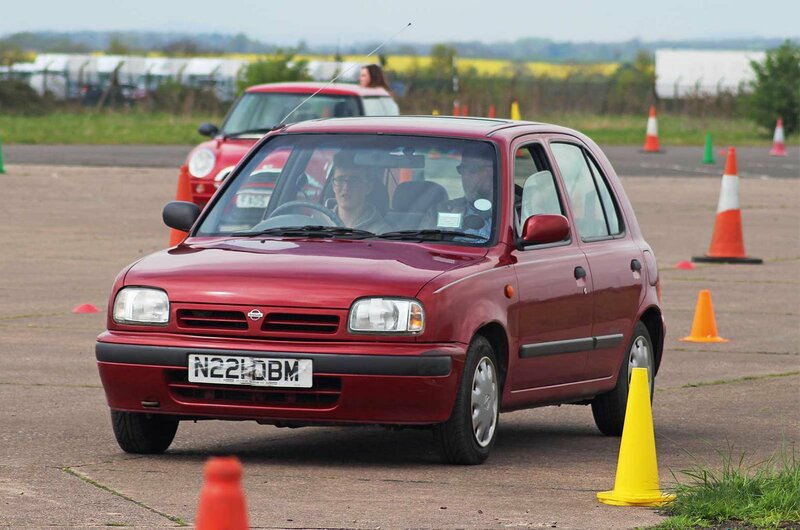 The region has given the Pathfinder Project a grant of £90,000 to provide training for 1000 young drivers at nine five-day events over the next four years. Pathfinder also has the support of Gloucestershire’s Police and Crime Commissioner who has awarded the charity £25,000 to continue working with rising 17s in its region. The programme is also being launched in Yorkshire later this year in association with a local IAM RoadSmart group. This enables the charity to offer its five-day course for £170 per student. “Together with our partner agencies, West Merica Police and the Fire and Rescue service, we can make sure that less people die on our roads,” adds Campion. Road traffic police officers work alongside volunteer instuctors and organisers, giving their time for free to offer demonstration drives and talk about their experiences on our roads. “We’re happy to be here because we want young people to know that the traffic police are approachable and committed to keeping people safe,” said Chris Singer, Assistant Chief Constable with Warwickshire Police. "It’s so clear that Pathfinder equips young drivers with the awareness and mechanical ability they need to drive and be safe. You only need one driver to be safer and the result will be saved lives."